In this Goulet Q&A episode, Brian talks about the best broad nibs, testing pens you can’t hold, and best gripped pens under $50. Enjoy! I have similar issues with oily hands and small / smooth / tapered pens as Brian does, what are his recommendations for budget (sub $50) fountain pens with grips he likes. Between the TWSBI Eco and the 700/R, which do you think is easier to disassemble? Which is sturdier and least likely to crack? Why are 90% of pens the same length? Did the length of shirt pockets dictate pen length? Really want this riddle solved! What fountain pen would you recommend for cycle touring/ commuting (stored in a pannier)? Cycling with a pen is honestly something I haven’t tried yet! I think a lot of beginner fp users start with fine and extra-fine nibs because they are working with lousy paper. I know I did. But now I’m fascinated by ink and I’d love to buy some broad nibs. Do you (or Broad Queen Rachel) have specific recommendations for makes and models that have great broad nibs? If a person lives in an area where hands on trying the next and higher level of fountain pens at a pen show or a brick and mortar store isn’t an option, what recommendations would you give to help a person take that leap? this will be a challenge if you can’t ever see them before you buy them, that’s why we try to help you as much as we can in advance! It’s the strangest thing. 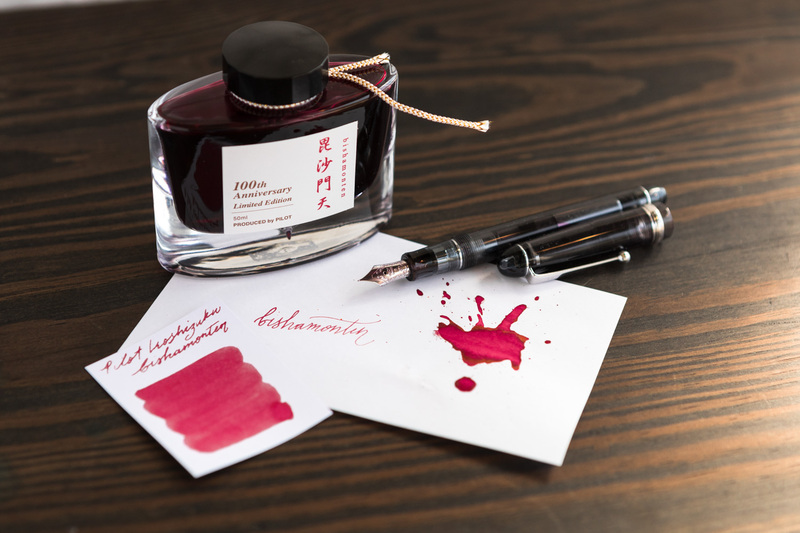 My Noodler’s Berning Red was once a brighter red. Now as I head towards the bottom of the bottle, it’s much darker, and, sadly, a bit ugly, like dried blood. I am certain it didn’t get another ink mixed in it. What can account for a color shifting to dark as it ages? I’m sure this question could spawn some political jokes…but honestly, that’s not my intention. How do you get a nib out of a pen that will not come out with the Goulet nib grip. Is the only way for it to come out with knock out nib punch? you have a couple of options, one is just to keep pulling/pull harder, sometimes that works! Bishamon-ten is believed to be the god of financial good fortune and competition. The red ink echoes the color of the flames, depicted on the matching fountain pen, emanating from the halo that is floating behind him. Juro-jin is worshipped as the god of longevity and prolonged life as well as wealth and longevity. 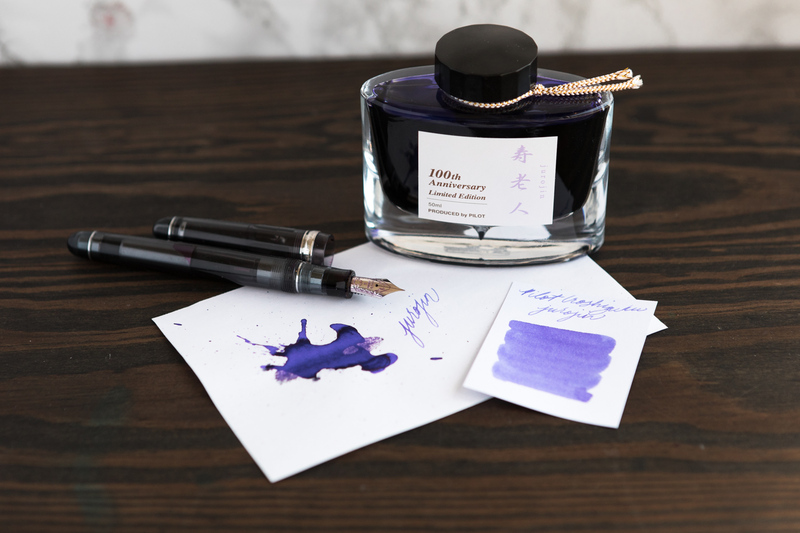 The purple ink echoes the color of the Juro-jin’s Kimono, depicted on the matching fountain pen. Taoism’s three virtues which are the perpetuation of one’s descendants, health and longevity, are known as Fuku-roku-ju, which in written form is represented with three Chinese characters that make up the god’s name. Today, Fuku-roku-ju is worshipped as the god of personal virtue. 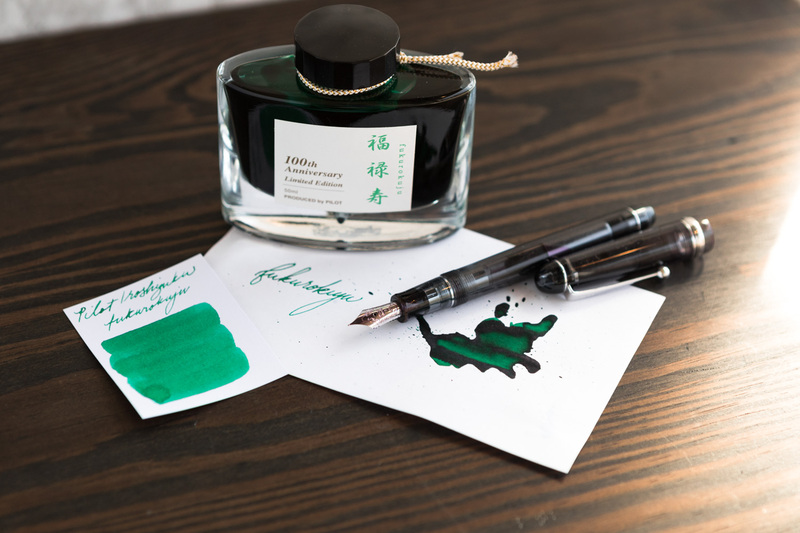 The green ink echoes the color of the turtle, depicted on the matching fountain pen, on which Fuku-roku-ju is riding. In ancient times, Ebisu was worshipped as the god of plentiful fishing, and is now regarded as the god of happiness and prosperity who makes everything from businesses to crops plentiful. 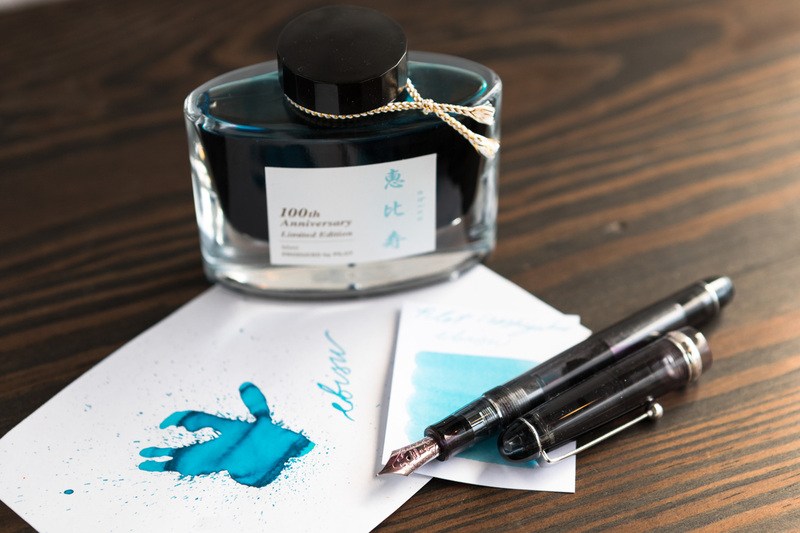 The light blue ink reflects the color of the sparkling sea, depicted on the matching fountain pen, around the rock on which Ebisu is sitting. These limited-edition inks are available individually as 50ml bottles for $30 or as a set of all 7 colors in smaller 15ml bottles for $100. Get more information on these inks or others on GouletPens.com. 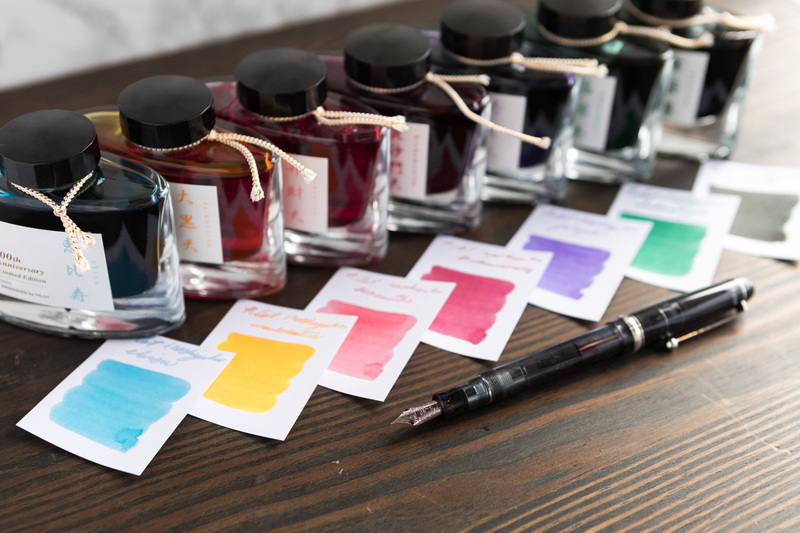 Do you have a favorite of these inks? Planning on picking up a bottle? Leave a comment and let us know! Hello, fountain pen friends! It’s Lydia, bringing you some exciting news. Welcome to our new monthly feature, Inksploration! Many of you have been asking when or if our beloved weekly Monday Matchup giveaways would be coming back after our holiday hiatus. We are happy to announce that we have brought the concept back, but in a fresh and fun new way. Thus, the concept of Inksploration was born! Inksploration will be a new monthly feature centered around one ink we feel deserves some love and attention. 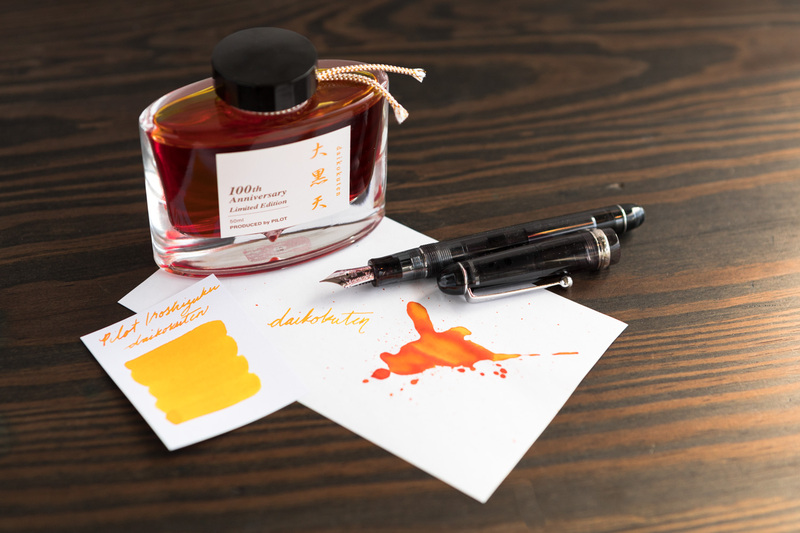 Each month, we will feature the ink in a drawing and a written quote, plus you will also get the chance to read a quick ink review and meet some inks that are similar in color or properties. The month will culminate with a giveaway that feels very similar to the Monday Matchup giveaways, but will run for an entire week! 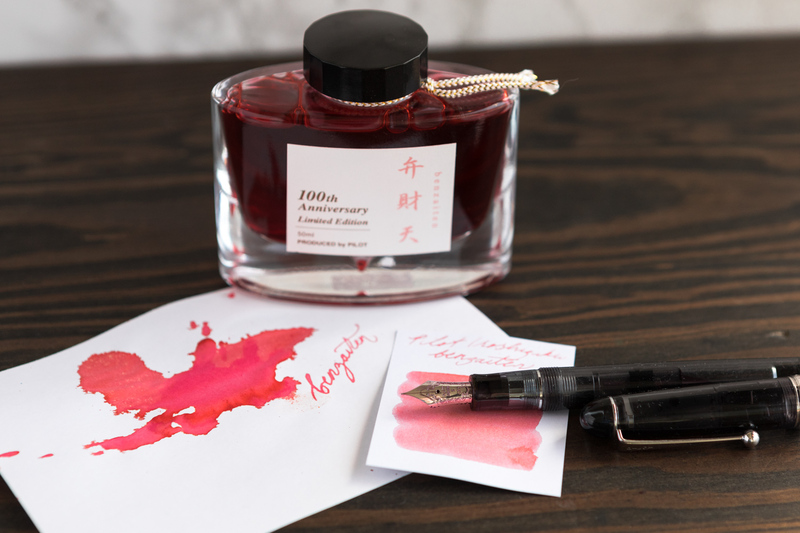 Our hope is that this new blog will help shed more light on some great inks and provide a more comprehensive overview of what they can do. Are you ready to join us on an adventure of inksploration? 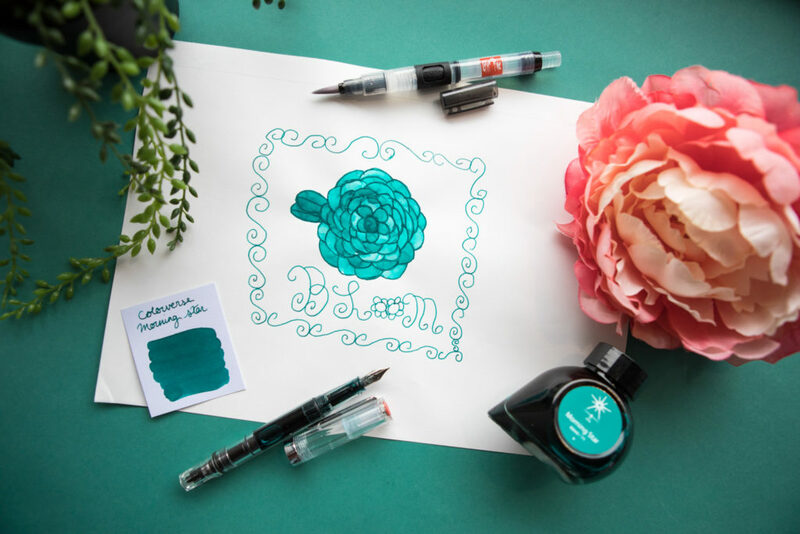 Our first inksploration showcases Colorverse Morning Star, a gorgeous, wet turquoise ink that I fell in love with. It defintiely lived up to the hype I have for the wet and vibrant Colorverse line as a whole. 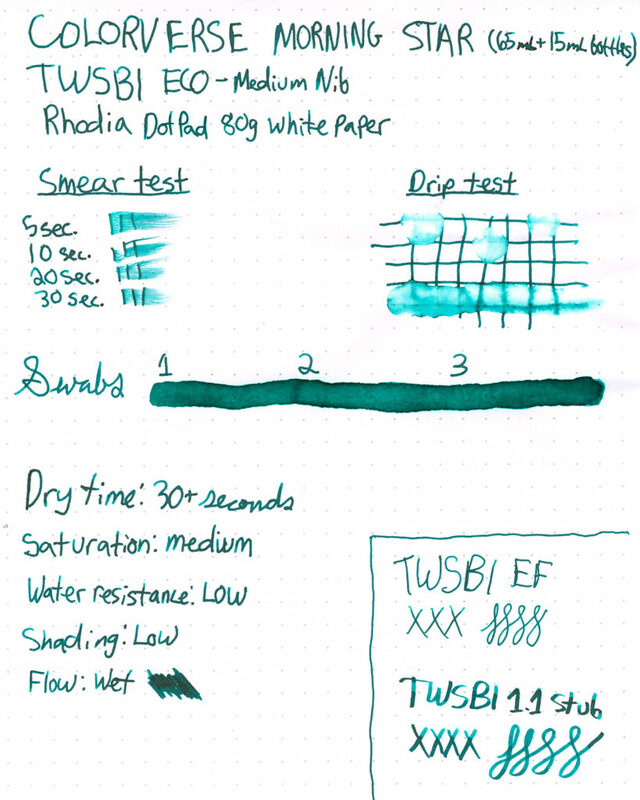 It flowed well from the TWSBI feed and had a surprise sheen that I was delighted to see in the swabs and on paper. This flower drawing is something I’ve done since high school whenever I was bored, or stressed, or fidgety. I can remember sitting in lecture classes, doodling a bouquet of these flowers on my notebook pages in an attempt to remain alert and attentive. I am not even sure what flower it’s supposed to mimic, but there is something so soothing about drawing it. You legitimately start out with a small dot and just keep drawing petals off that one spot. It’s up to you how small or large it ends up being. Just keep drawing until you feel done. This was probably the easiest drawing I’ve ever done for a Goulet project. I started by drawing out my flower with a TWSBI Eco– Medium, then did a simple filigree border. I used a Maruman Mnemosyne N181 A4 Imagination Notepad- Blank. To fill the drawing in and give it more color, I used a water brush pen and filled the cap of a sample vial with some ink. I dipped the brush in the ink and dabbed the excess off until I got the shade I was hoping for. I alternated and moved around the flower so the colors would be diverse and give the drawing depth. Colorverse Morning Star is such a great ink for ink washes because you can get a great variety of shades. I went back in when the ink wash was dry and redrew the lines around the flower again to darken them. I finished by writing the word “bloom” beneath the flower. It feels very simple and inspirational and happy. 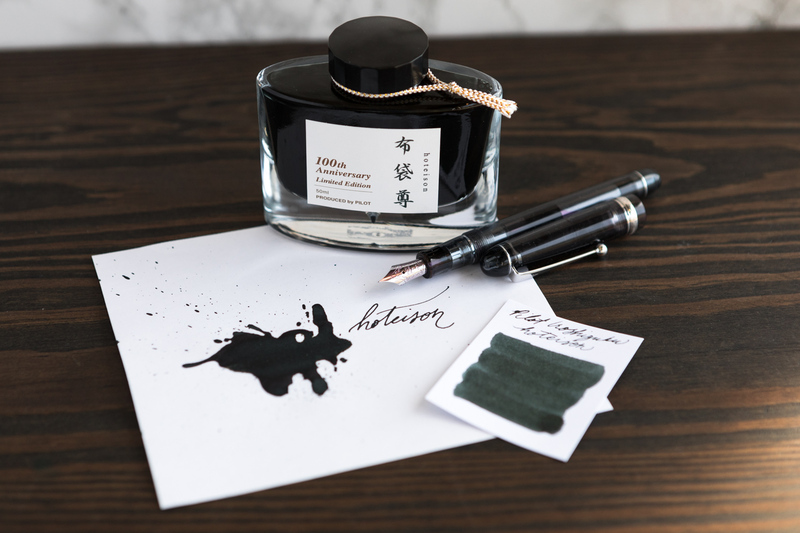 How did the ink behave on other papers? The ink behaved very well on all types of paper. I used Leuchtturm1917, Rhodia, and Tomoe River for this test. There was no bleedthrough on the LT1917 paper, even with the q-tip swab. I can even see a bit of sheen on all of the papers. Dual Packaging– 65ml bottle is great for home use and the 15ml bottle can be left at the office or given as a gift to penable a friend! 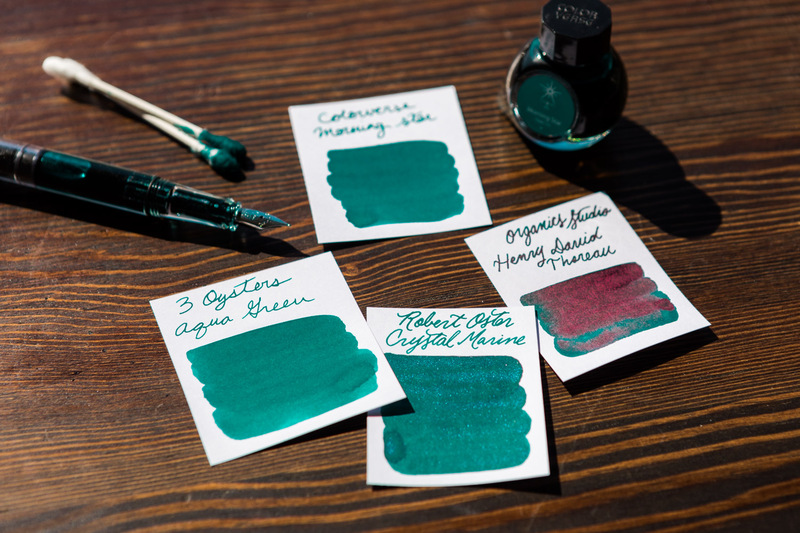 What is your favorite blue-green ink? In this Goulet Q&A episode, Brian talks about demographics of the average pen enthusiast, the most popular color of pen we sell, and which pen he’d resurrect from the past! Who is the average fountain pen enthusiast? And how would your description of a pen nerd today differ from one ten years ago? there are so many assumptions to be made here, because there is honestly such a spread! the biggest difference I’ve seen has been in age, getting younger due to the education and social connections thanks to the internet and social media, like this video!! Wood vs celluloid which one will stand the test of best material for most popular fountain pen and why? between these two options, I would rate celluloid as the best all around material for a fountain pen, though, as much as I love wood!! I see many colors of fountain pens at your website. 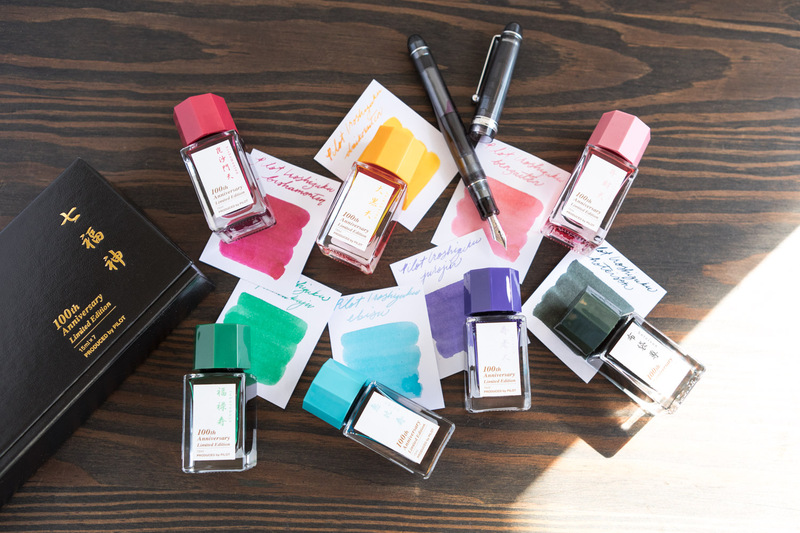 What color fountain pen is the best seller with Goulet Pens? What color is the least sold? Some nibs are curved (from tip to feed), some are mostly flat across, some are large or tiny or odd like the Falcon — what are differences when writing with them? 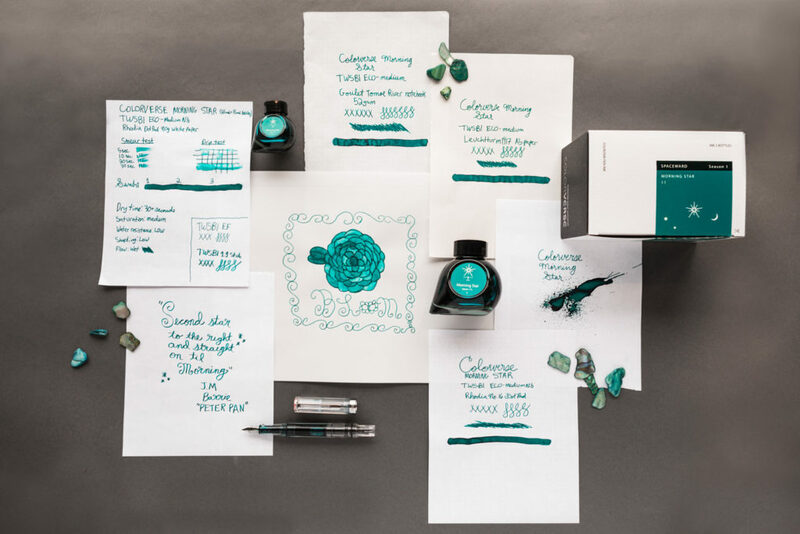 When you introduced the Conklin Endura, it was a limited production run, which you would consider extending. I have been shopping for a pen to mark a work related milestone and I am considering the Ebony and Mahogany Enduras. It would help me to make a decision knowing if this is my last chance with the Endura since I noticed the “out of stock” button for the Ebony Endura in most nib sizes. I find the wood turned pens very attractive and this is by far the best priced one around. However, the Edison Nouveau Premieres in Cranberry and Juniper are also contenders, and I know they won’t be around for much longer either. Has GPC made a decision yet to carry the Endura regularly? this of course is torture for you, because you never really know if we’re going to have something ongoing or not, because we don’t know! In this case, you have time, we’ve ordered more of the two you want, but it’s not a guarantee we’ll stock them regularly, it all depends on how well they sell! The Premieres you should jump on sooner though, they’re seasonal, we have all we’re going to have on those and we may only have a few weeks left on hand, which is honestly pretty rare we have it past the end of the season at all! Of all the fountain pens of Yesteryear…which would you choose to come back–of course with a modern flair? Pilot M90. Bring back as is. It’s perfect. admittedly, I don’t have a vast knowledge of vintage pens! Every pen collection needs at least one piece that can stop someone in their tracks and make them strike up a conversation and we have no shortage of pens that fit the bill on the GouletPens.com. 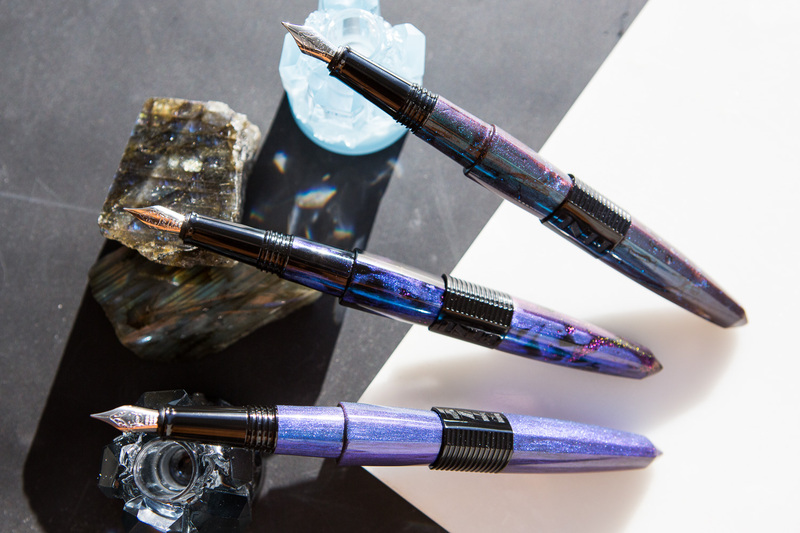 We felt that these gorgeous pens deserve their own spotlight. 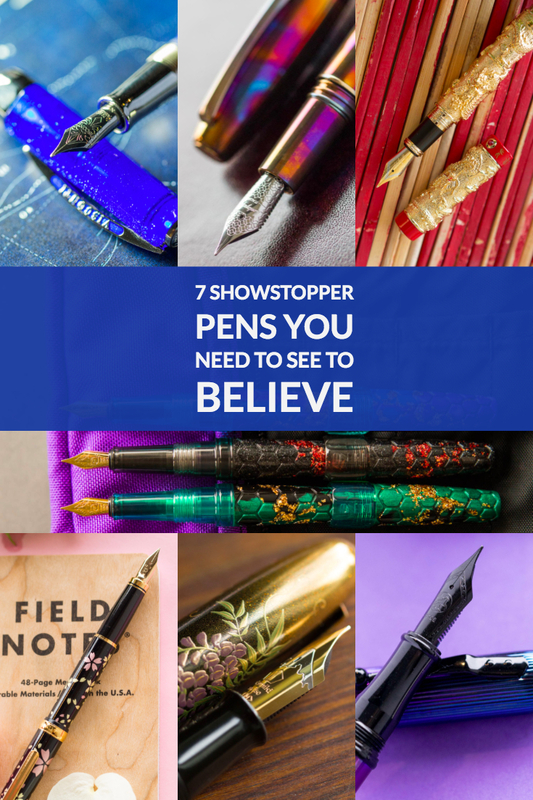 Below, you will find our picks for 7 Showstopping Fountain Pens You Need to See! The Platinum Kanazawa pens are an underappreciated gem in the beautiful showstopper pen category. 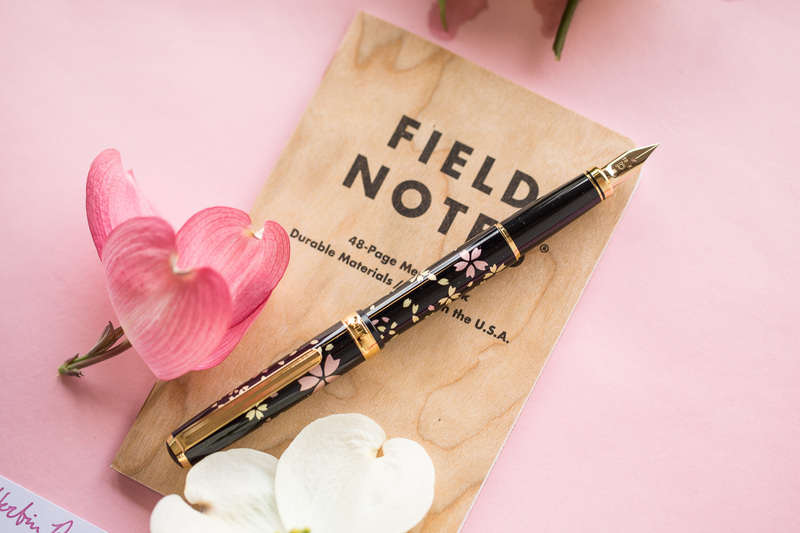 These slender resin pens feature delicate designs in the traditional maki-e style, a smooth writing 18kt gold nib, and a price point below $200. 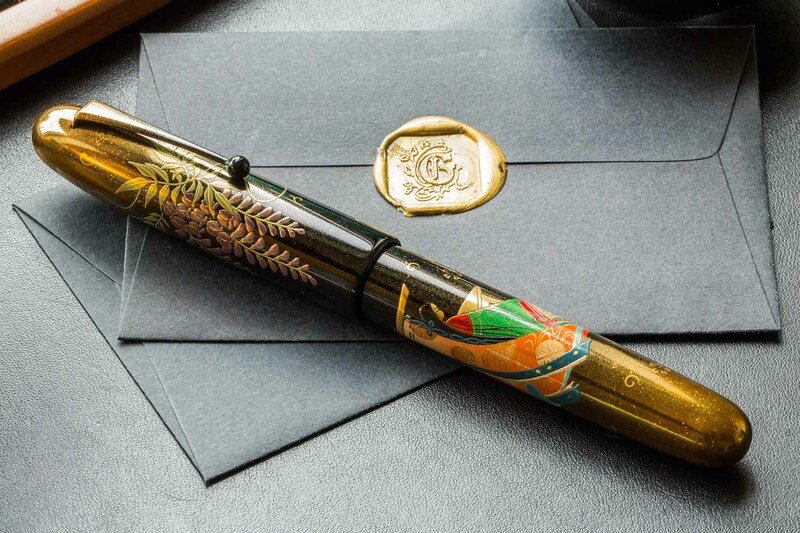 Each of the 5 available designs is created using Kanazawa gold leaf and other gorgeous materials, giving the pen an appeal to both writing and art enthusiasts. Give your eyes a treat and take a peek at this gorgeous line of pens, including Red Mt. Fuji, Swirling Petals of Cherry Blossoms (shown above), The Moon and a Rabbit, Goldfish, and Changing Autumn Leaves. These attention-grabbing pens are light on price but heavy in weight and impact. Jinhao certainly has their share of unique pens (Shell pens and shark pens, anyone?) but these Jinhao 999 Dragon pens are definitely the most splendid. 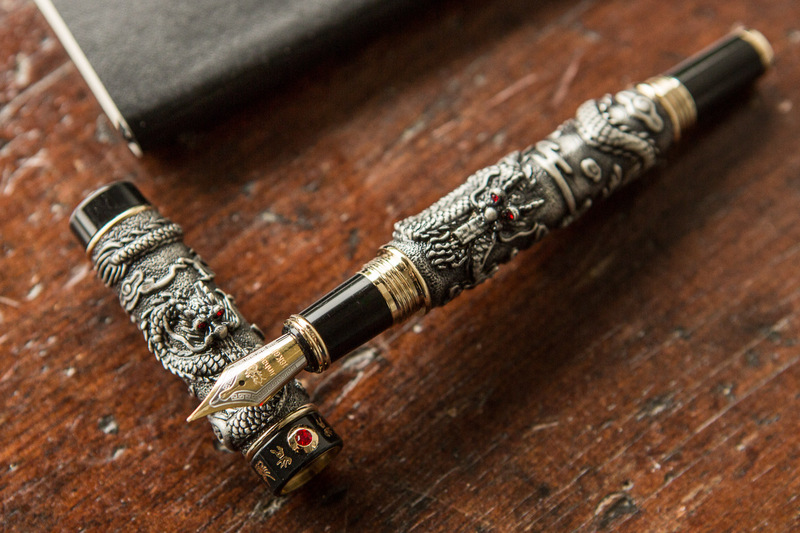 Two dragons, eyes ablaze, face off on the body of this pen. The impressive 99g weight of this pen seems to suggest the gravity and intensity of this impending battle of mythological Titans. This pen is not to be missed. 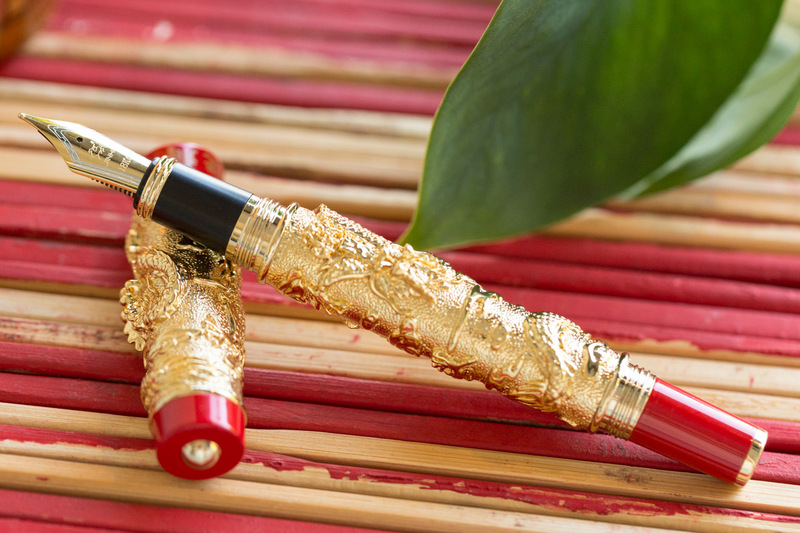 At The Goulet Pen Company, we offer two models, the Black and Gold/Red, both under $30. 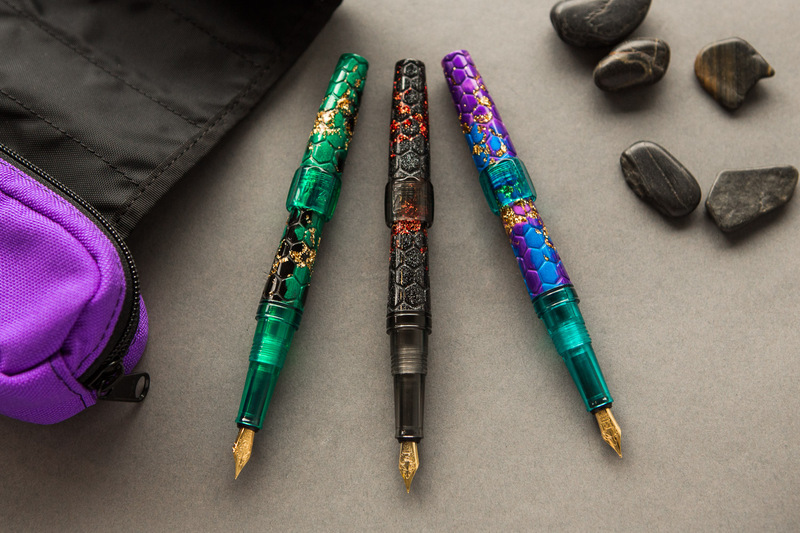 The Namiki pens are, by far, the most intricate, ornate pens we carry at Goulet Pens. There is a great deal of intention in the artwork that is showcased on these pens. Each pen is handcrafted by artists in Japan and can take months to complete. 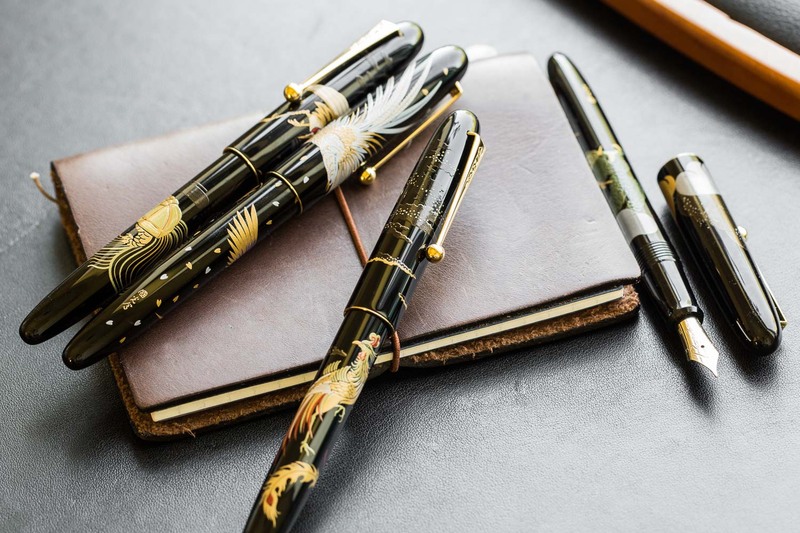 These pens are inlaid with precious materials like quail eggs, raden, and gold dust. you can learn more about the process in our video with John Lane of Pilot/ Namiki. 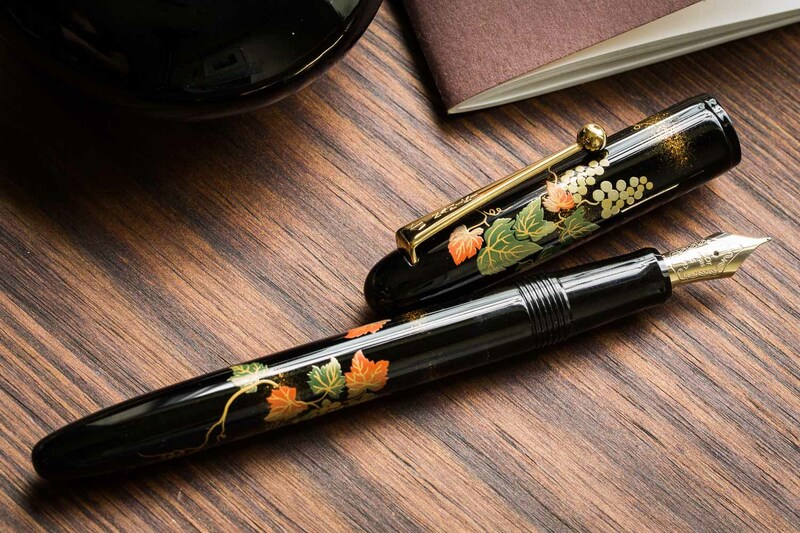 They are truly works of art and worthy of the title “grail pen.” We are proud to carry multiple Namiki models at The Goulet Pen Company, including the Emporer, Yukari, and Nippon Art. If we had to name one brand that has the flashiest pens, it would definitely be BENU! Whether its sparkles, glow-in-the-dark elements, or color shifting paints, you can bet BENU probably has a pen that will fulfill your dreams. Their pens are equally good performers as they are visually striking. 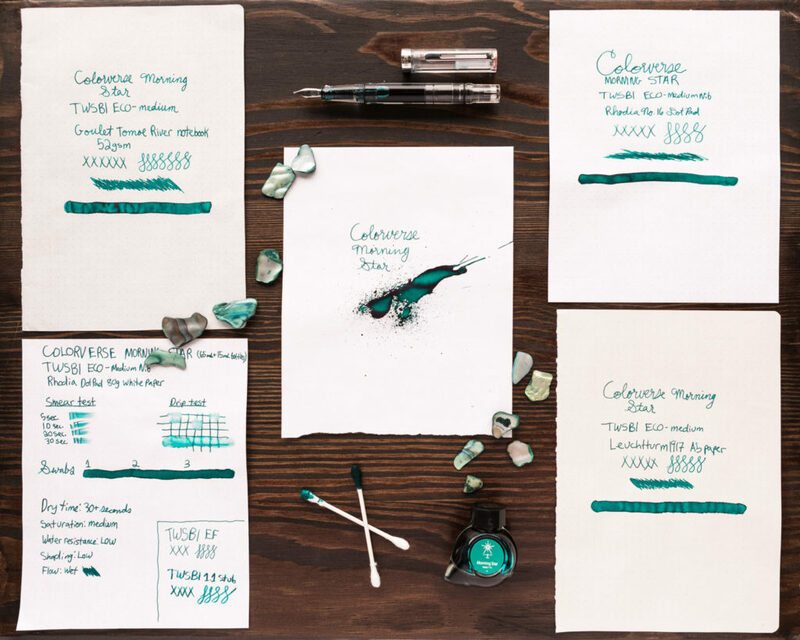 Ranging in price from $74 to $120, each pen is equipped with a smooth writing Schmidt nib. Keep your eyes peeled, as well, for Goulet Pens-Exclusive Special Editions like the Hexagon-Titan. 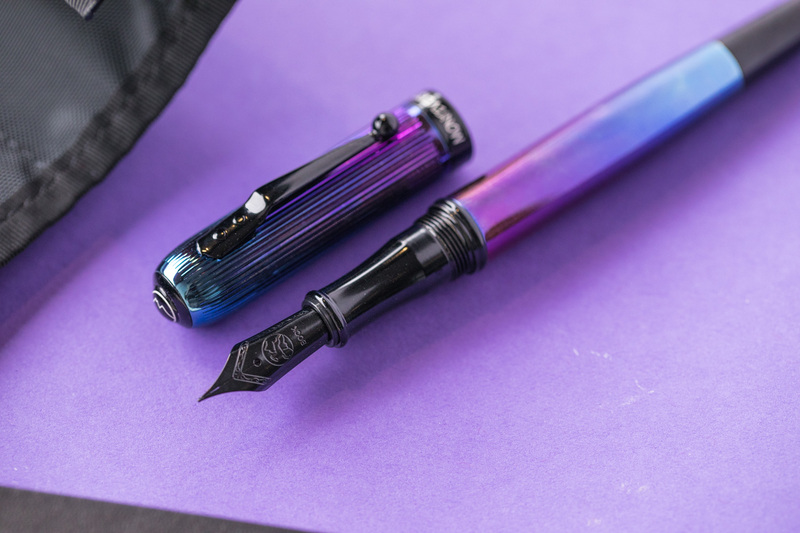 The alluring appeal of the Monteverde Rodeo Drive Polaris comes from the mesmerizing iridescent blue-to-purple lacquered finish. Complemented by all black accents, this pen is a knock-out beauty. Imagine using this one in a meeting or at the grocery store, you’d definitely draw some questions for curious passers-by who can’t help but notice this pen’s paint job. With a price point well below $75, this dreamy pen can easily become a reality. This pen is HOT! Montegrappa really nailed this follow up in the Fortuna series after the wildly successful Copper Mule. The Montegrappa Fortuna Blazer is a fire-torched metallic beauty. The polished steel surface of the pen barrel and cap basks in bluish, iridescent shades, just as a heated metal would do. No two pens are exactly alike so your burnished beauty is completely unique to you. 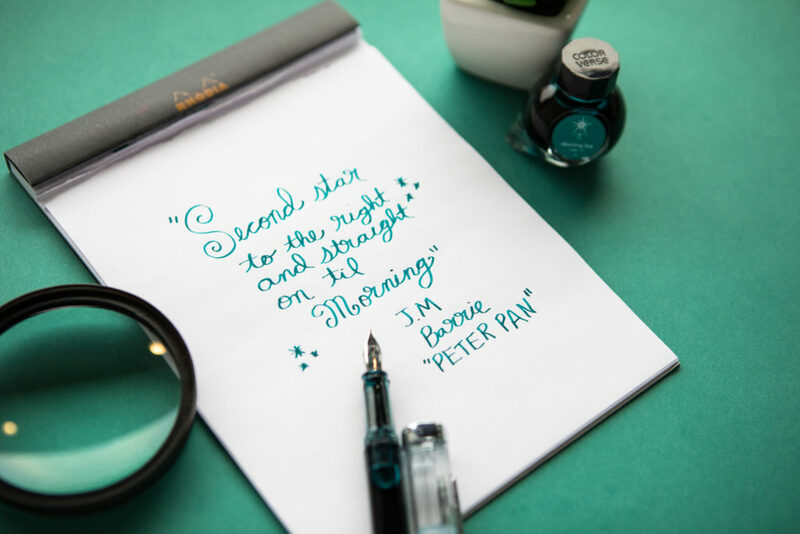 Plus you can’t beat the smooth steel nib when it comes to easy, effortless writing. Find the Montegrappa Fortuna Blazer at Goulet Pens for $360. 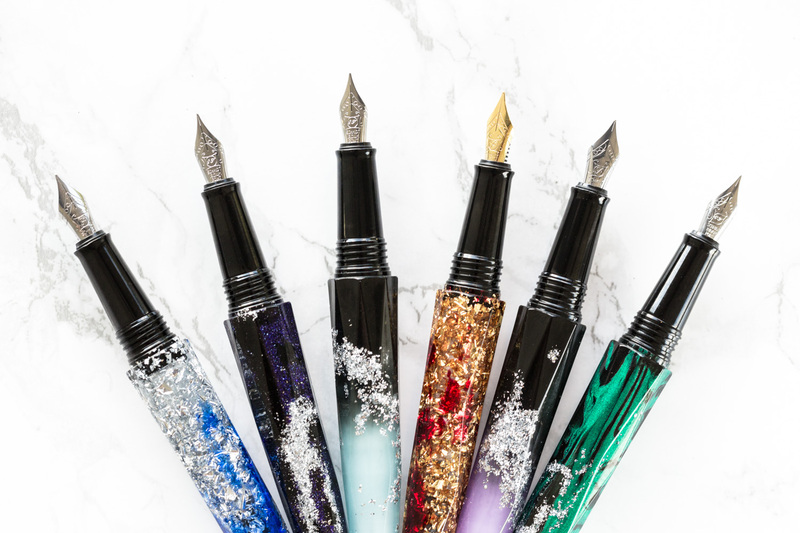 The Goulet Pen Company is the only place you can find the drop-dead gorgeous, glittery Visconti Opera Master Luna. 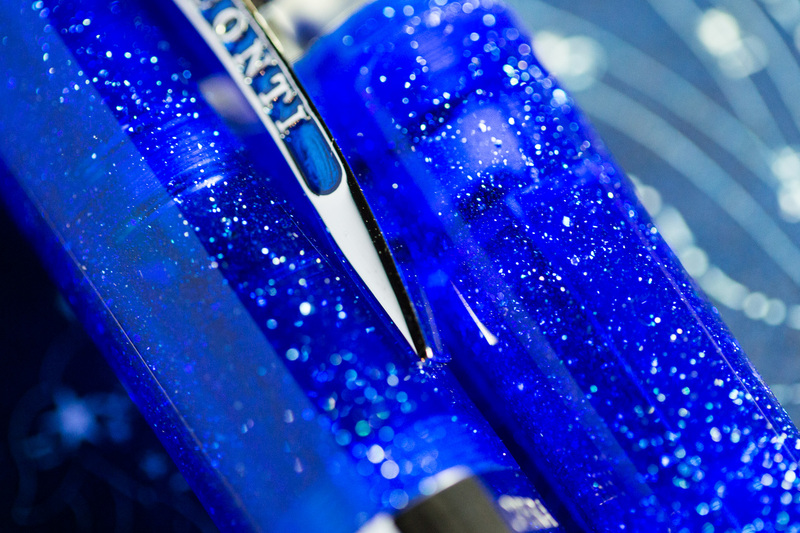 This “Goulet Blue” resin pen is infused with stunning silver sparkles that leap off the body of this pen. It is outfitted with a 23kt palladium Dreamtouch nib and Visconti’s patented double reservoir power filler system. 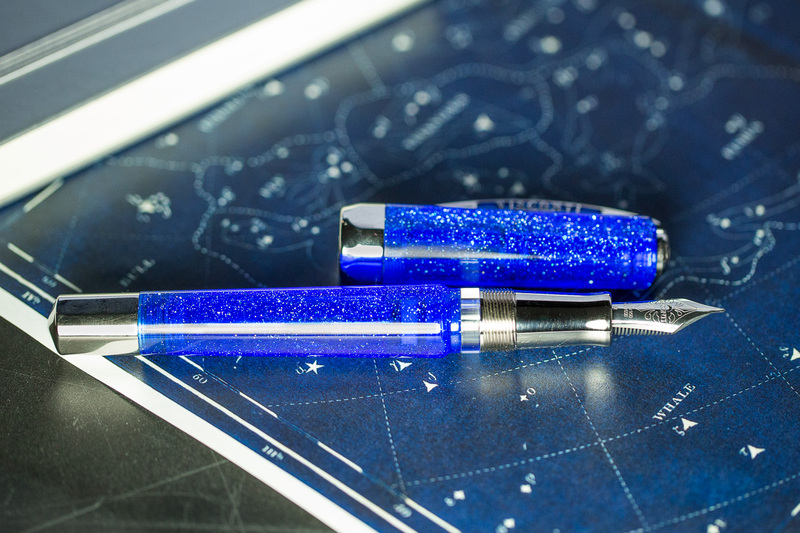 This glittering star is limited to only 188 total fountain pens, each individually numbered. Each pen comes with a FREE Visconti Dreamtouch Leather 2-Pen Case as well as a FREE Visconti Traveling Inkwell. It can be yours for $795. 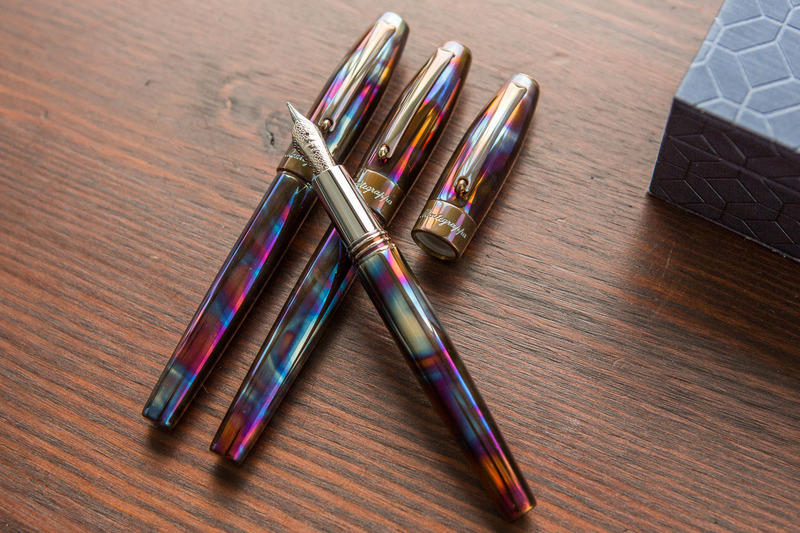 There are many, many more gorgeous pens out there in the world. We didn’t have to room to include all of them in this blog, but we’d love to hear your choices for ones that also should have made the list. Leave your picks in the comments below. You can see our full list of showstopper pens featured in this shopping guide on The Goulet Pen Company site. In this Goulet Q&A episode, Brian talks about 3D printed pens, what makes pens “heirloom quality”, and clipless pens. Has anyone tried 3d printing a fountain pen? It’s possible there are others and I’m not aware? What is your recommendation for an “heirloom” caliber pen? Something you can love and use and will stand the test of time? I’m thinking of buying a metal Kaweco sport and would like to know your thoughts on the aluminum version versus the brass version. Why don’t more manufacturers offer clipless options? good question, you really don’t see many of them, do you? I’d REALLY love some feedback on this, how do you all feel about clipless pens? Which are your favorite and why? Since cartridges are not labeled, what color cartridges come standard with most fountain pens? It’s going to vary from brand to brand, honestly. What do you guys think about the Goulet Nation and all the shenanigans we get up to? What are the things that have really surprised you about this mob? I was surprised to see the group create their own name (Penablers) and sports-style logo, that was awesome, and they buy and wear t-shirts with them! I was warmhearted when a member lost their home and everything they owned in the California Wildfires last year, and the Penablers sent them tons of pens to help them get back on their feet, at least pen-wise! many members have exclaimed that it’s the only thing they value about Facebook, and they would cancel their account otherwise!